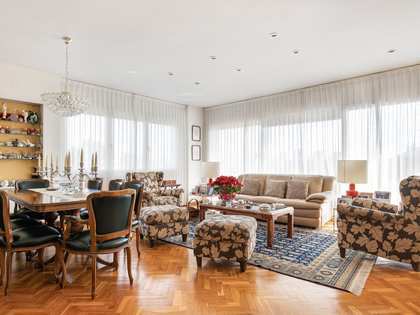 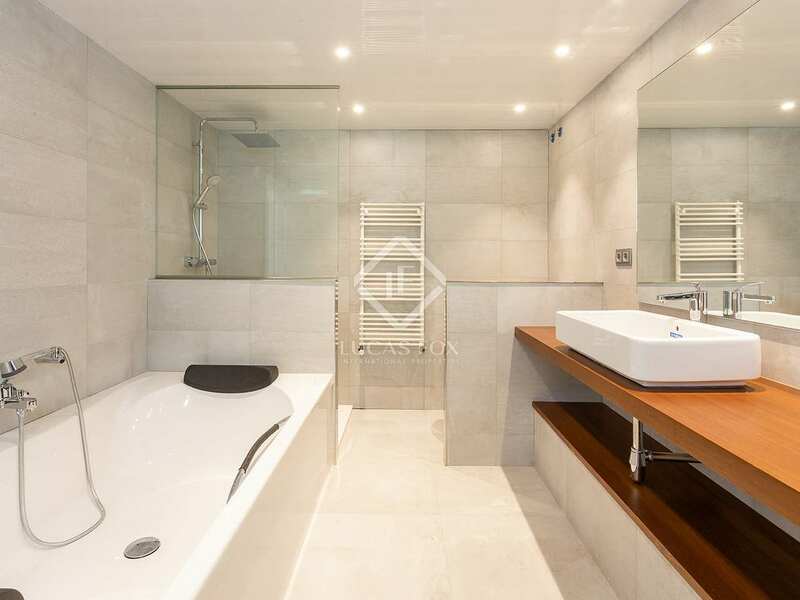 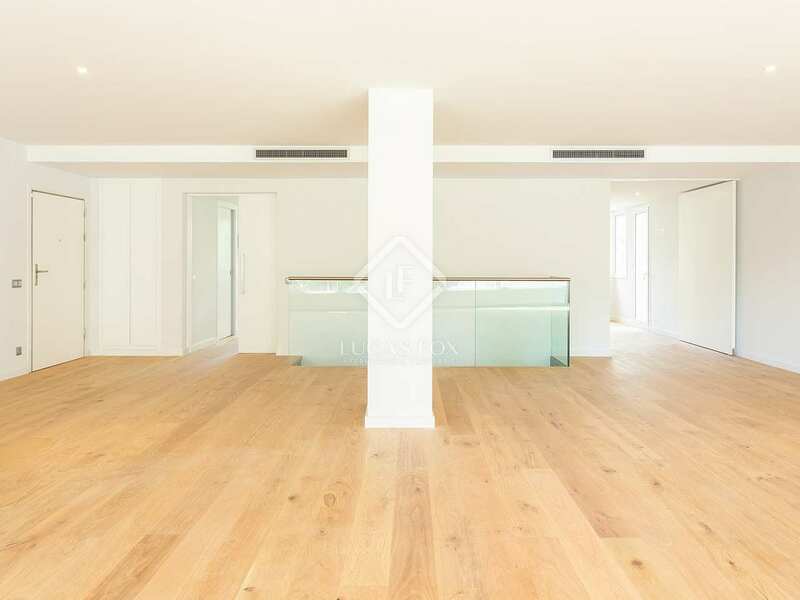 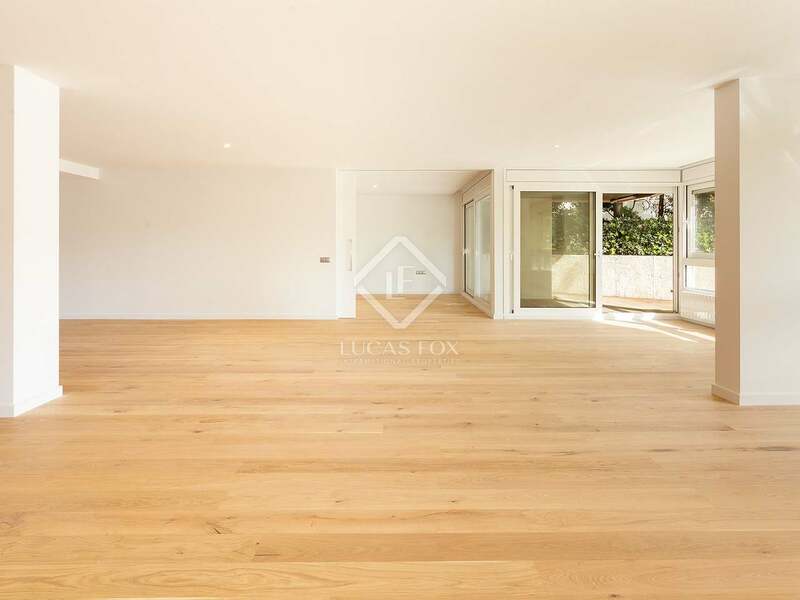 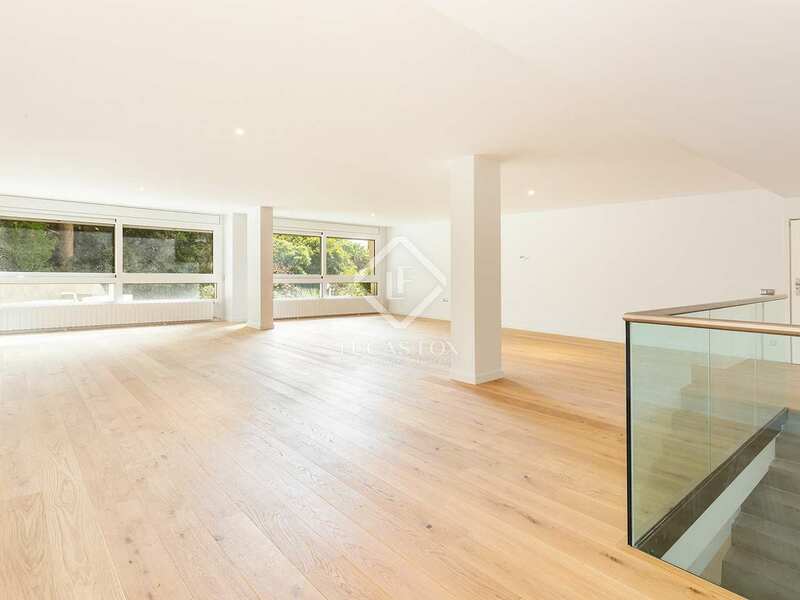 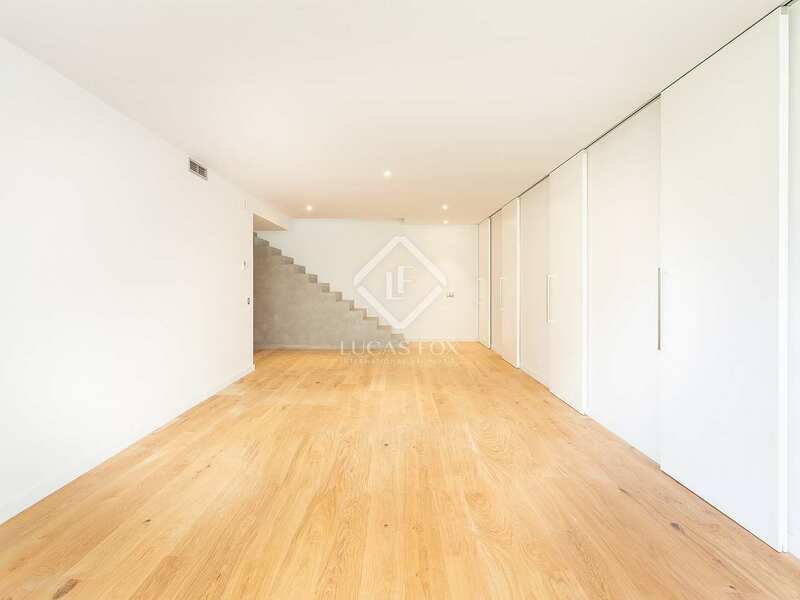 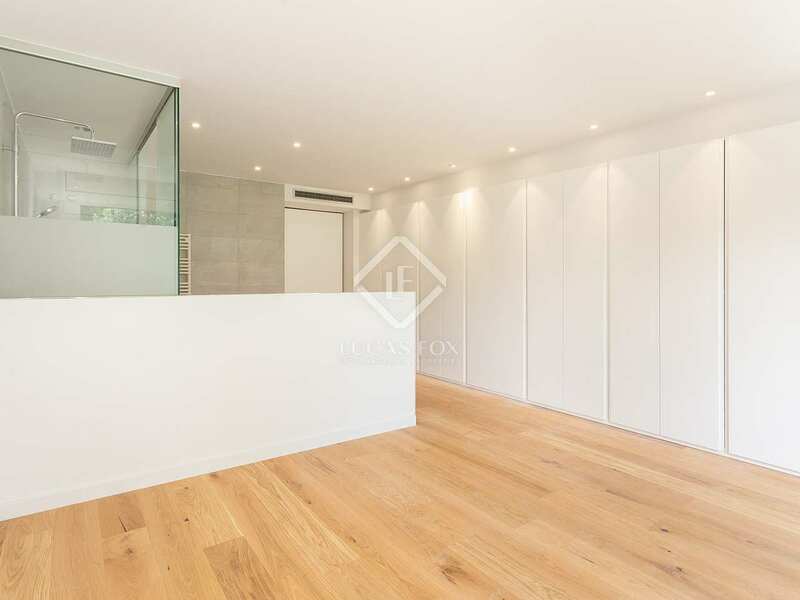 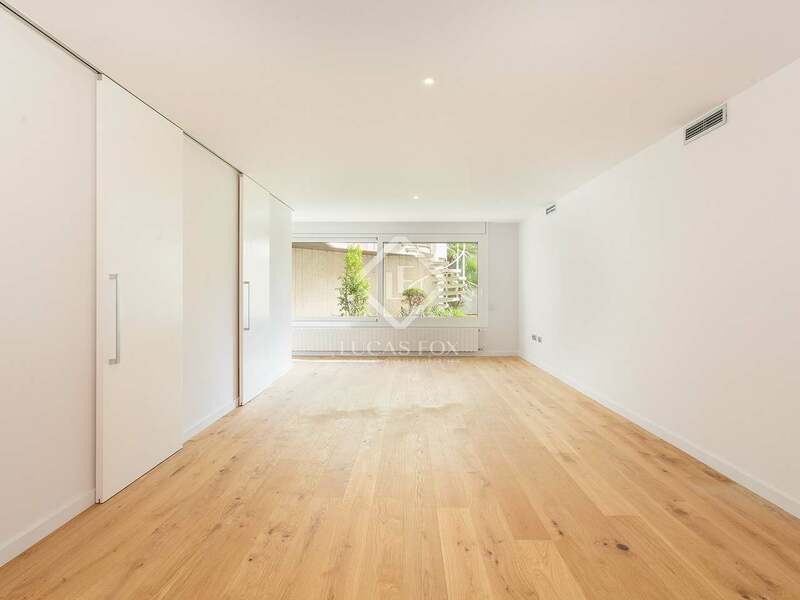 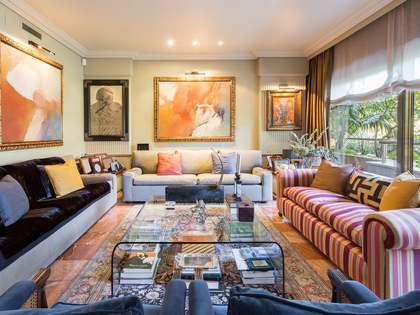 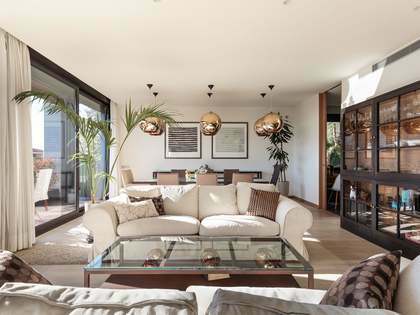 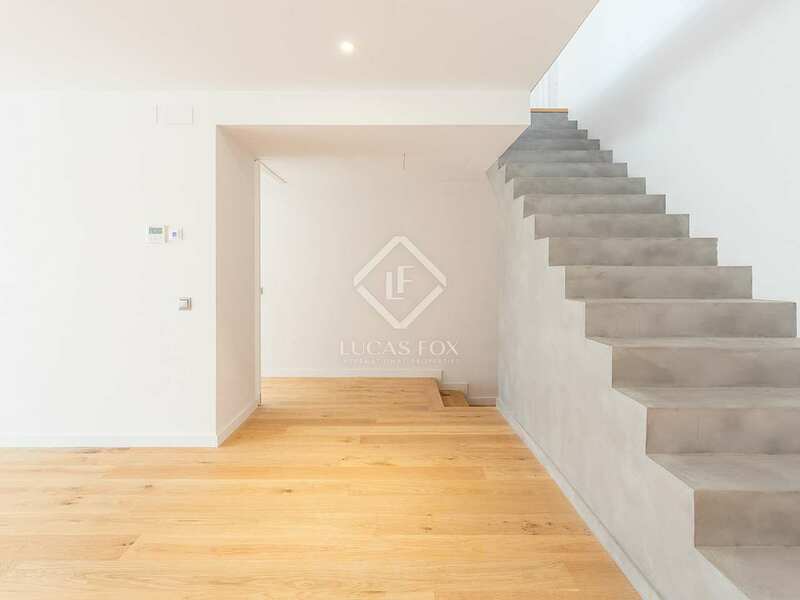 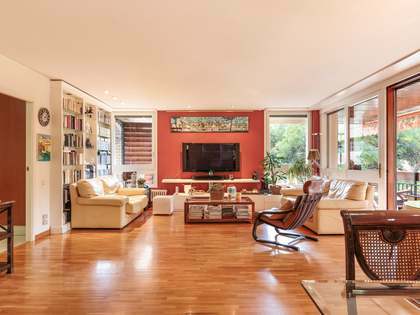 Stunning duplex apartment for sale in Barcelona's prestigious Pedralbes neighbourhood. With some of the best international schools close by, this property would make an exceptional family home in an exclusive city location. 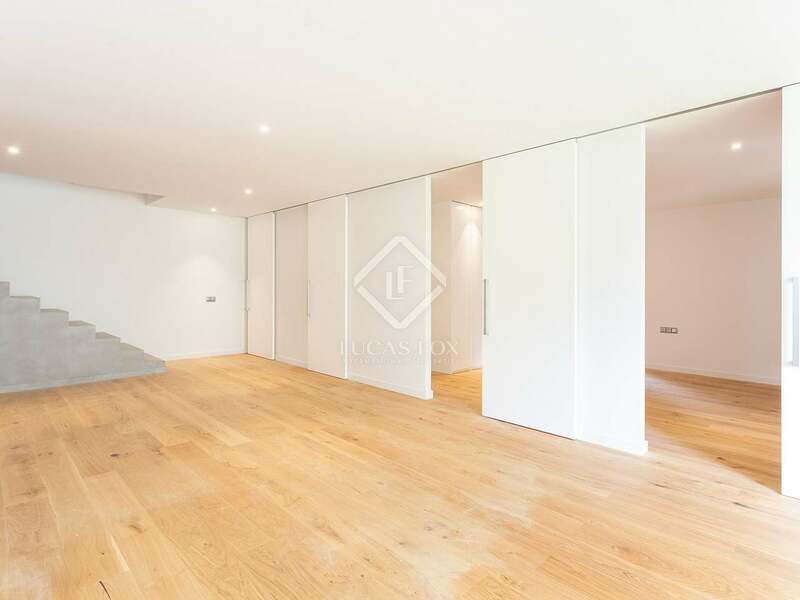 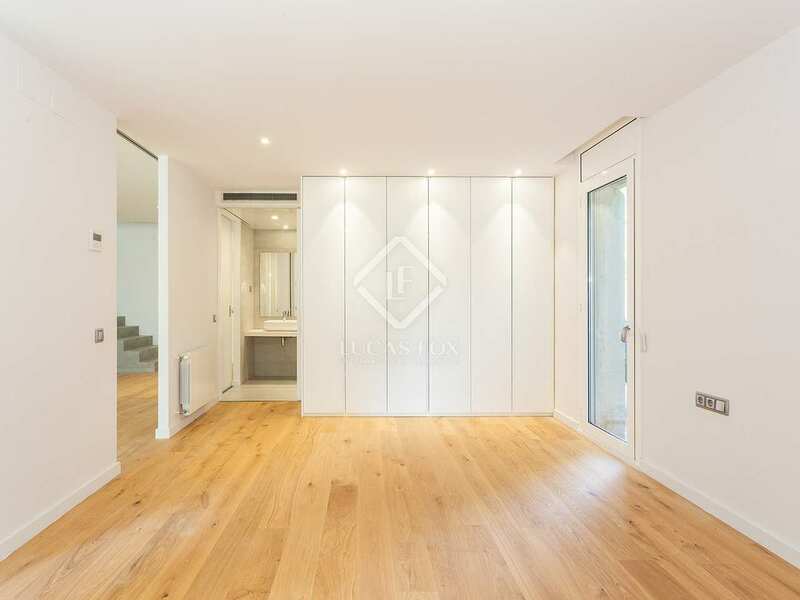 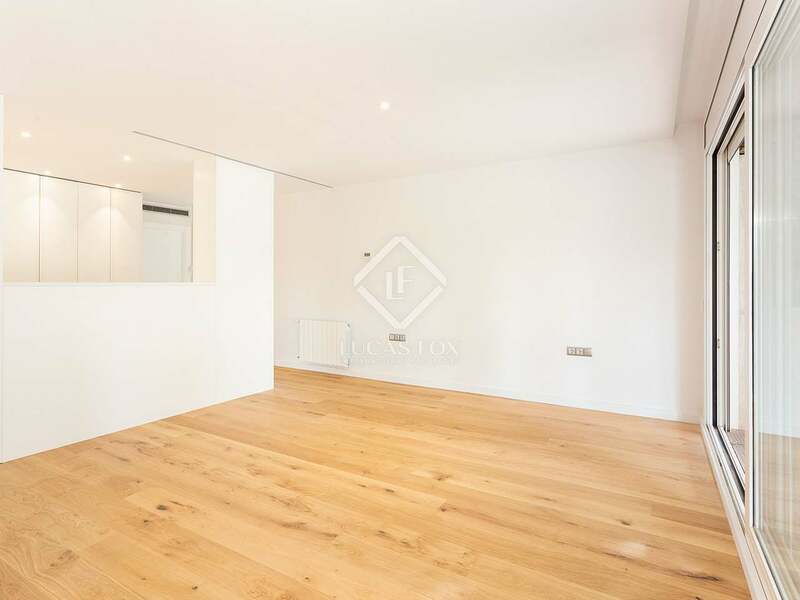 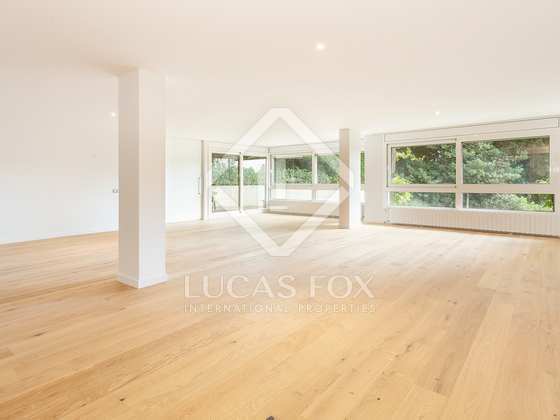 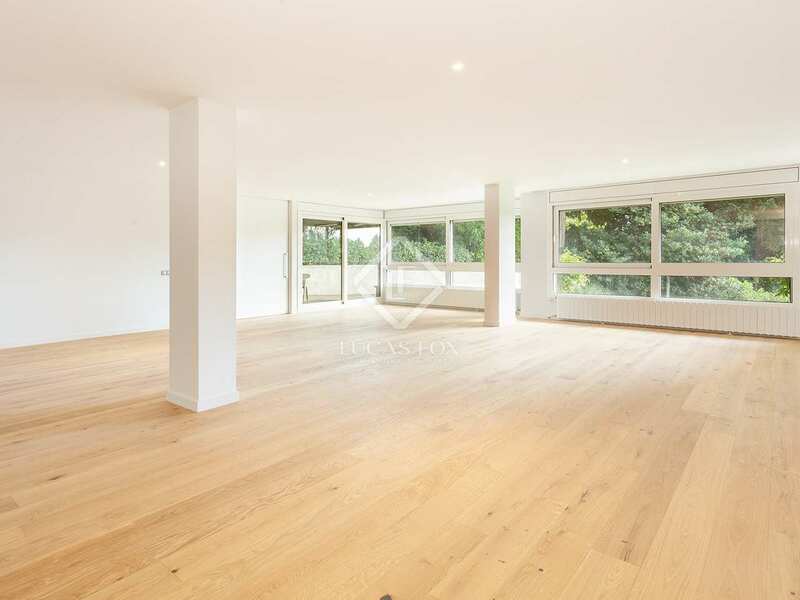 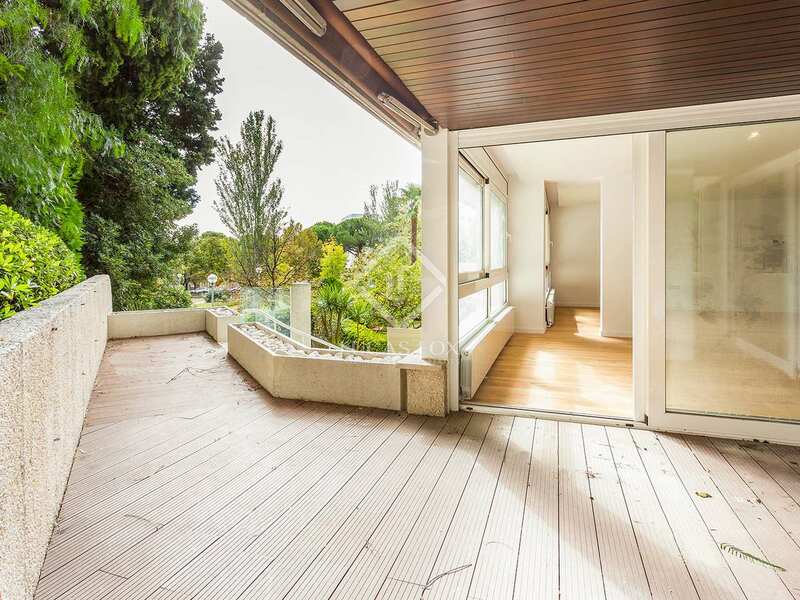 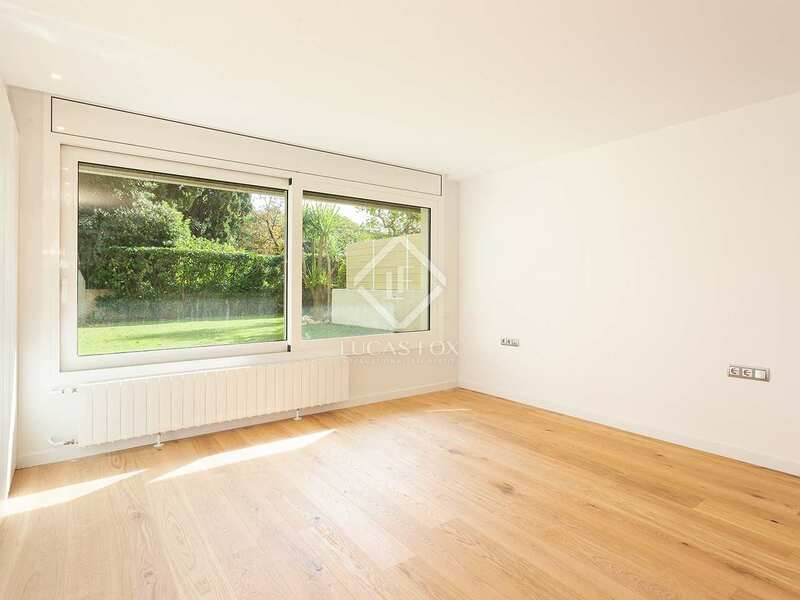 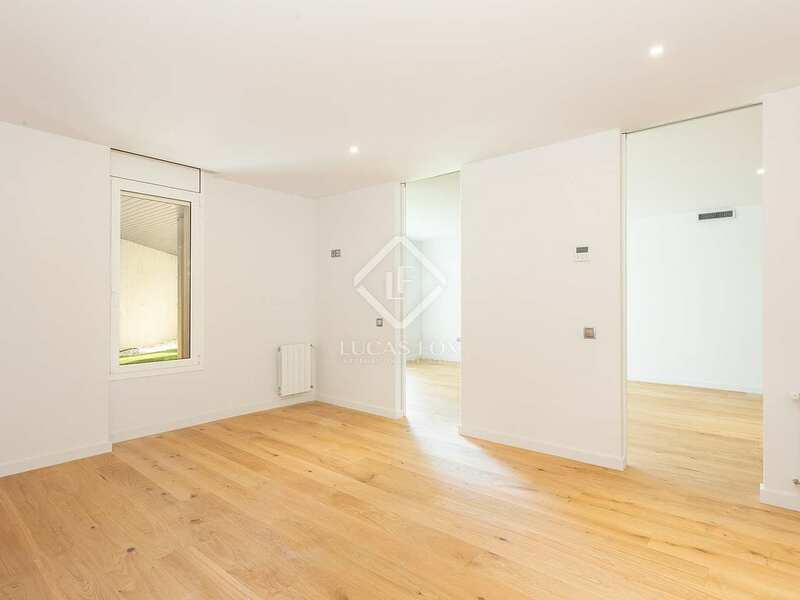 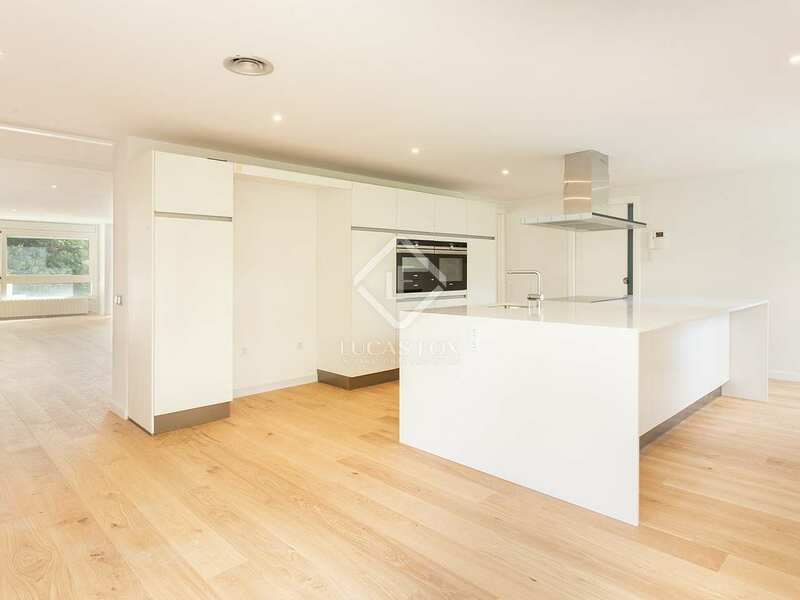 Distributed across 2 floor, access to the apartment is via the upper floor which includes the vast living-dining area with pleasant views of the garden and an abundance of natural light. 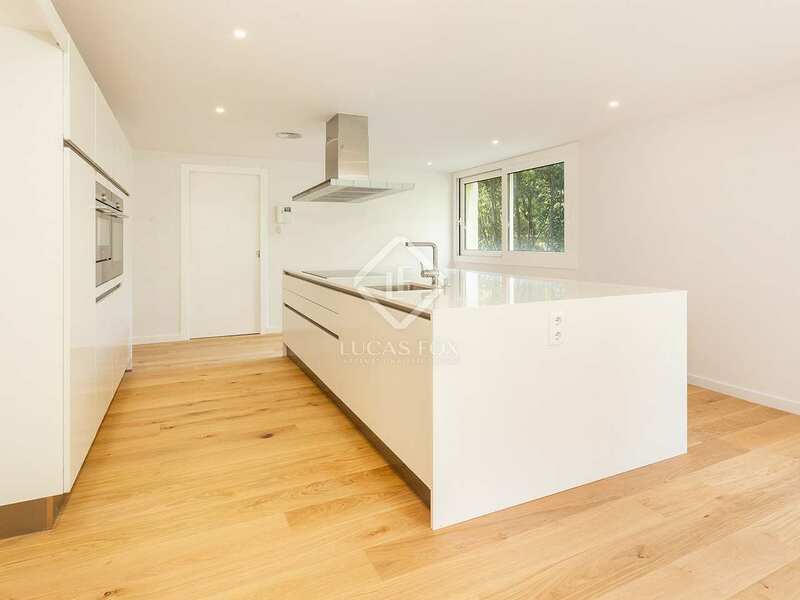 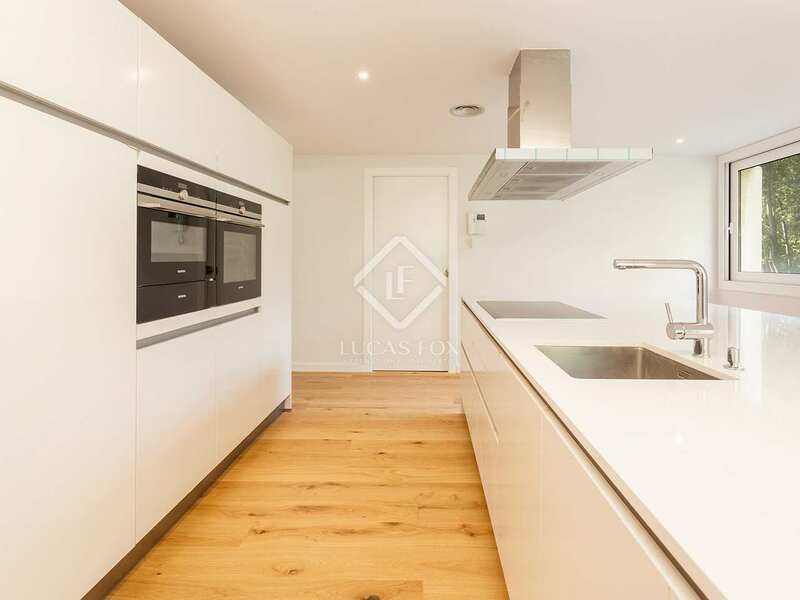 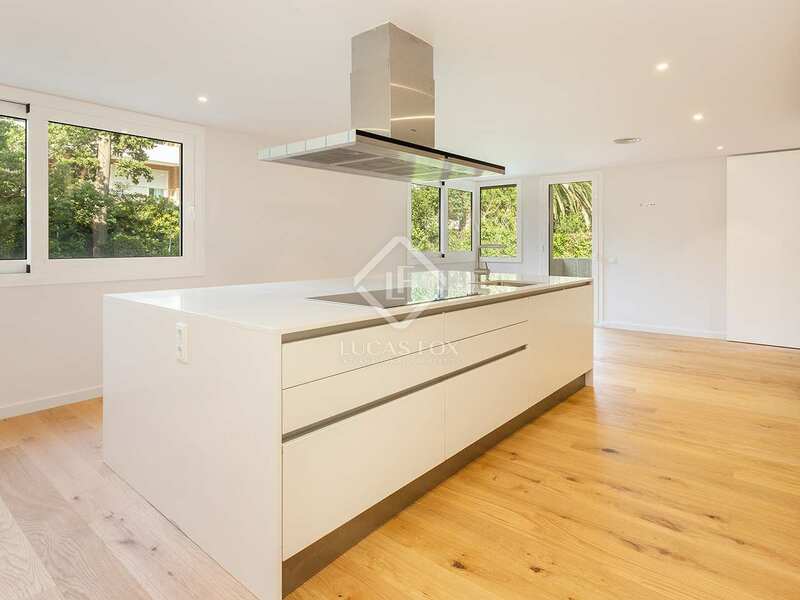 The fully-equipped, modern kitchen boasts finishes of the highest quality and opens onto the terrace. 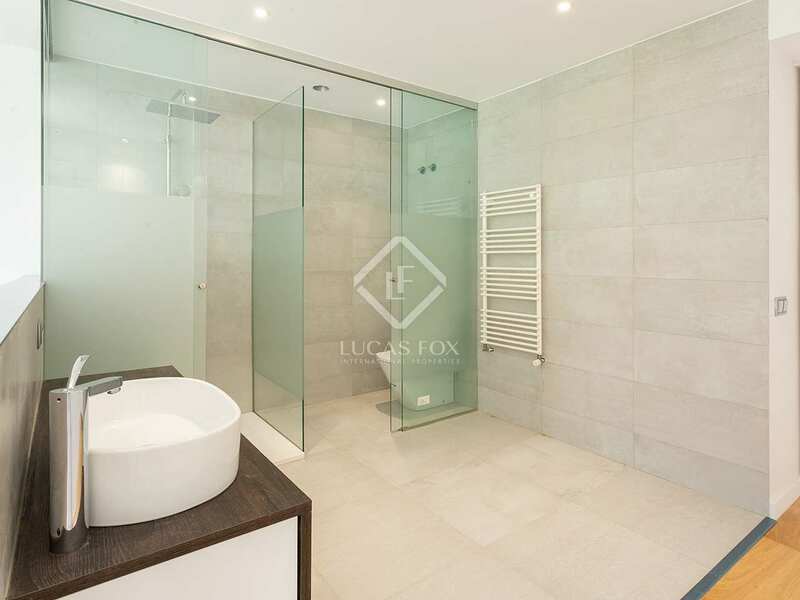 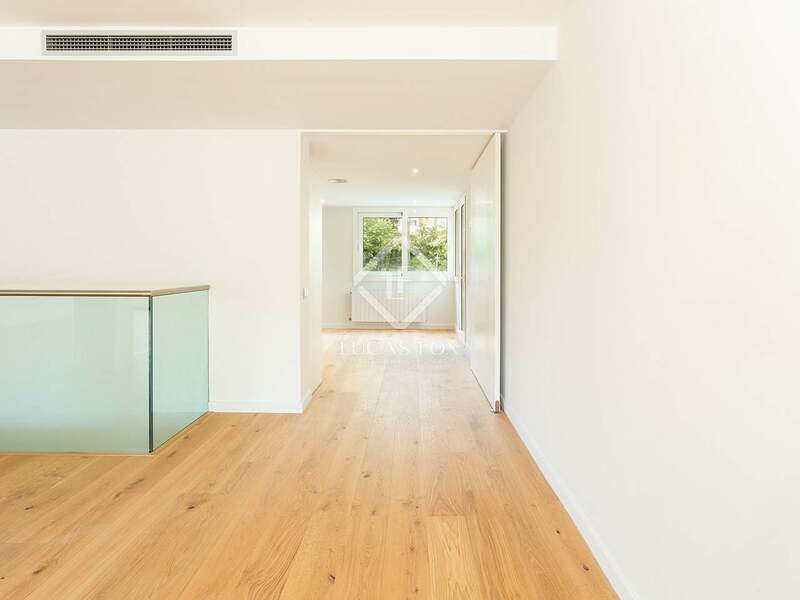 The first of 5 bedrooms, a double room with ensuite bathroom and access to a second terrace, completes this floor. 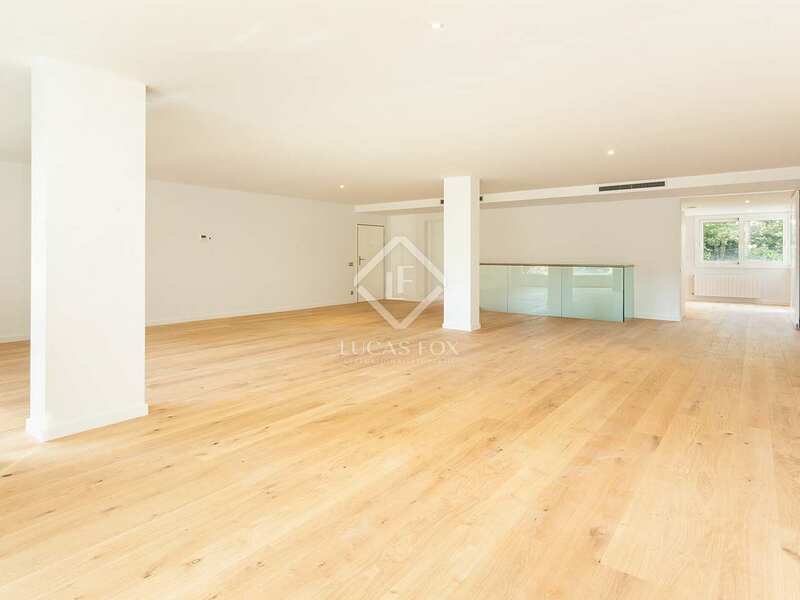 On the lower floor, a spacious lounge lies at the heart of the space and could be converted into 2 additional bedrooms. 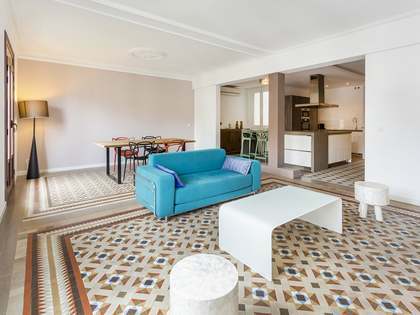 The lounge is connected to 2 double bedrooms, each with an ensuite bathroom. 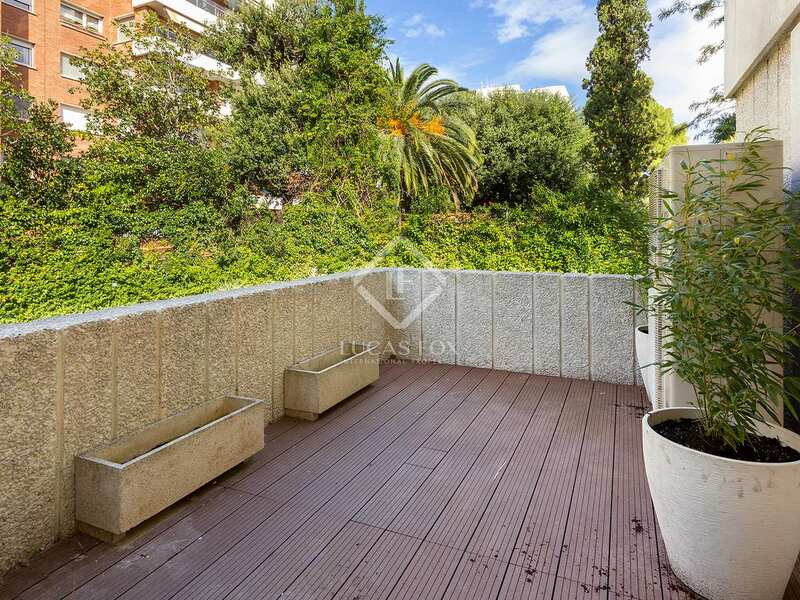 The outdoor space is equally impressive with gardens, terraces and a fantastic swimming pool. 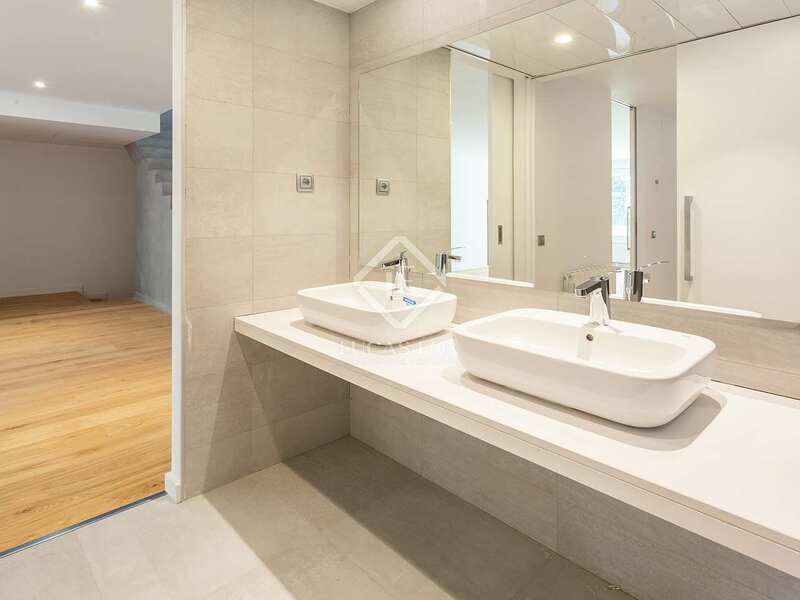 Excellent communal facilities in the building include 24-hour security and a gym. 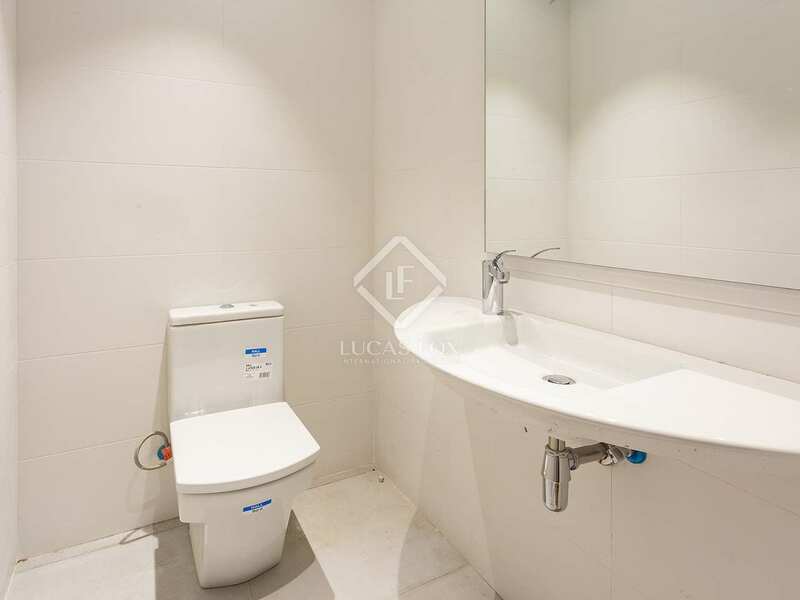 The property also comes with a convenient storage space and 2 large parking spaces in the building. 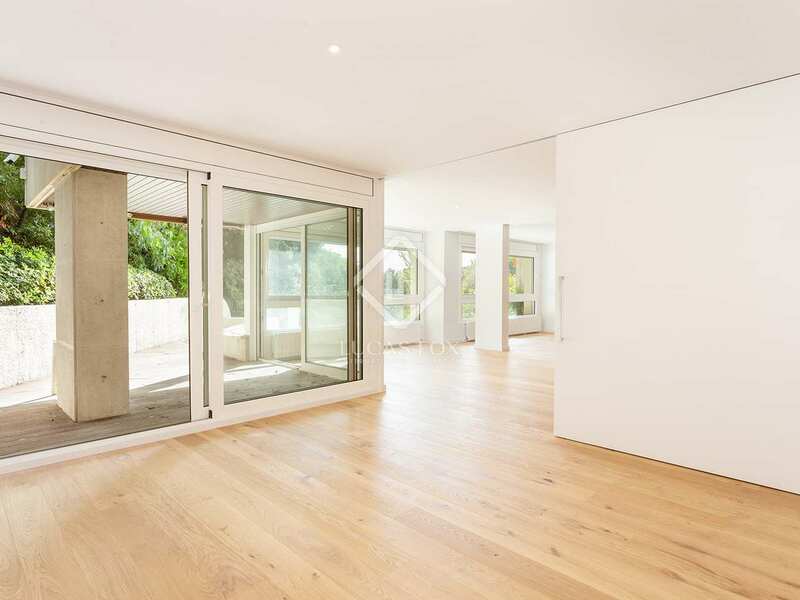 A very special property with a constructed surface area of 328m2, 50m2 of storage room, 80m2 of garden, 20 m2 of terraces. 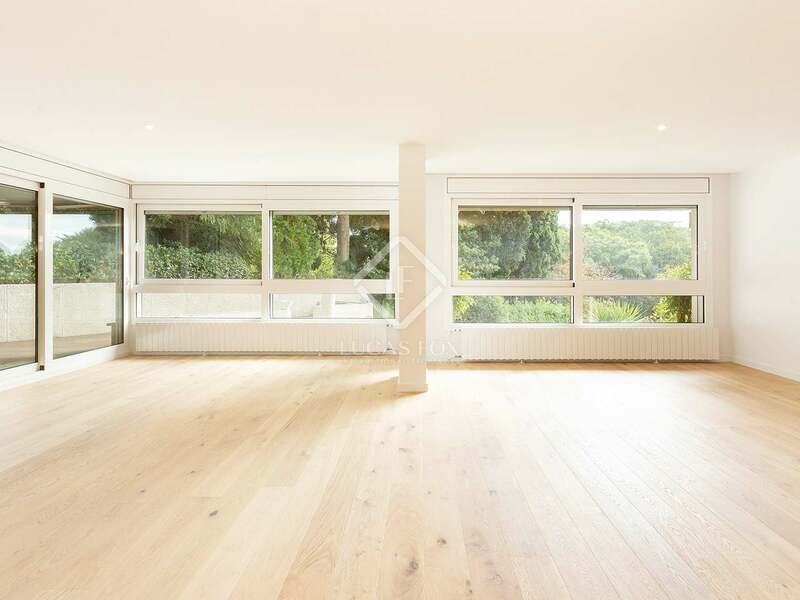 Nevertheless on the official registration it has a surface area of 256m2. 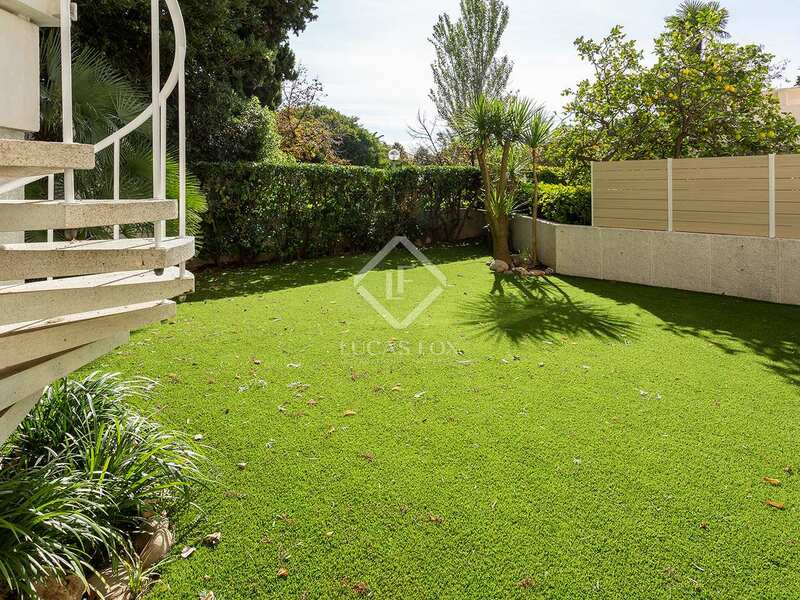 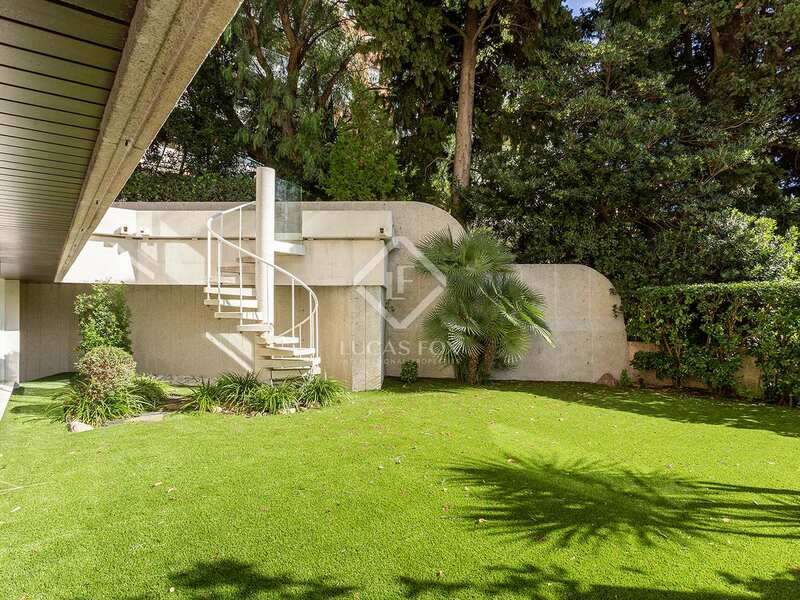 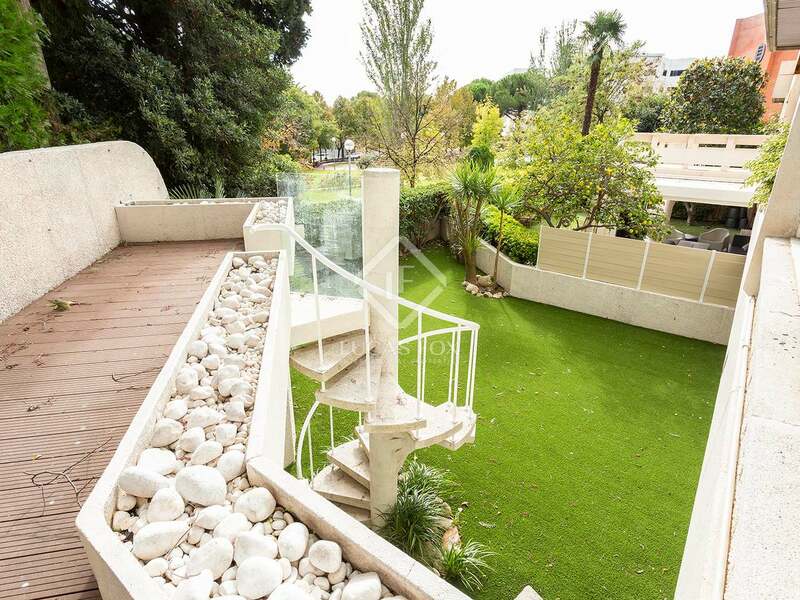 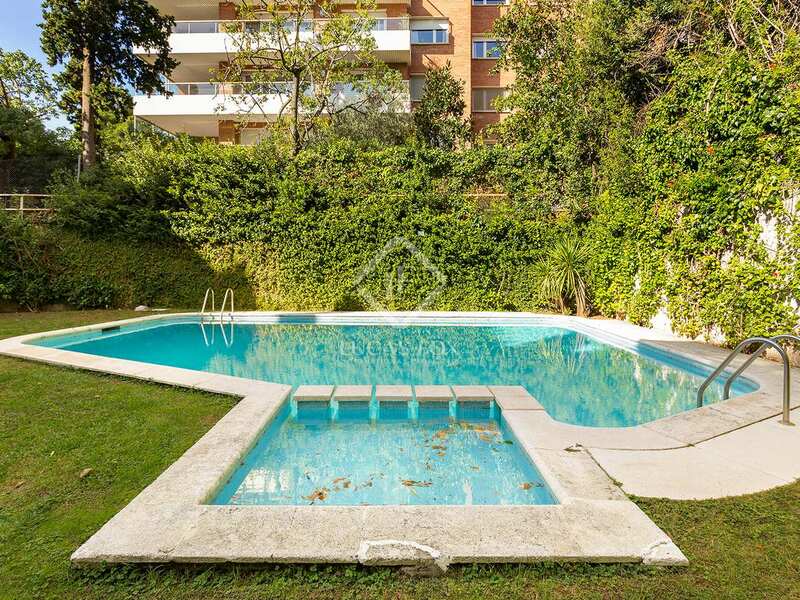 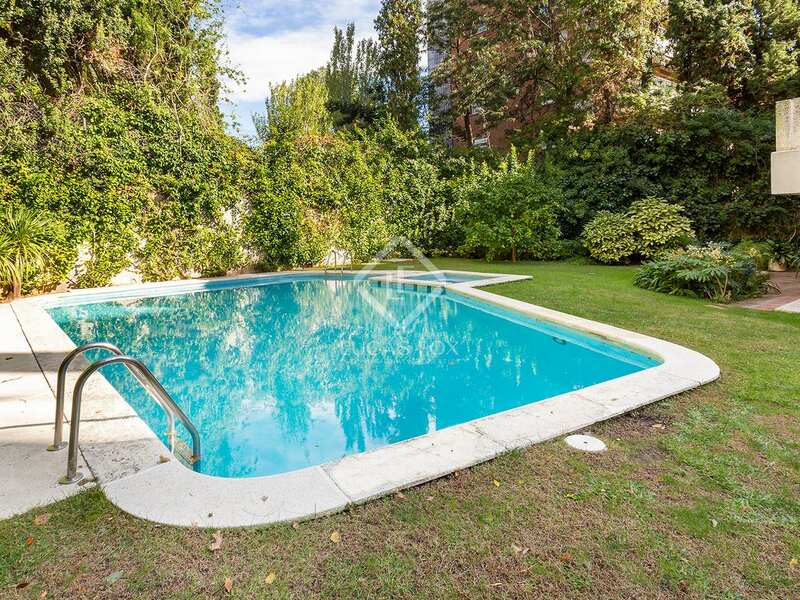 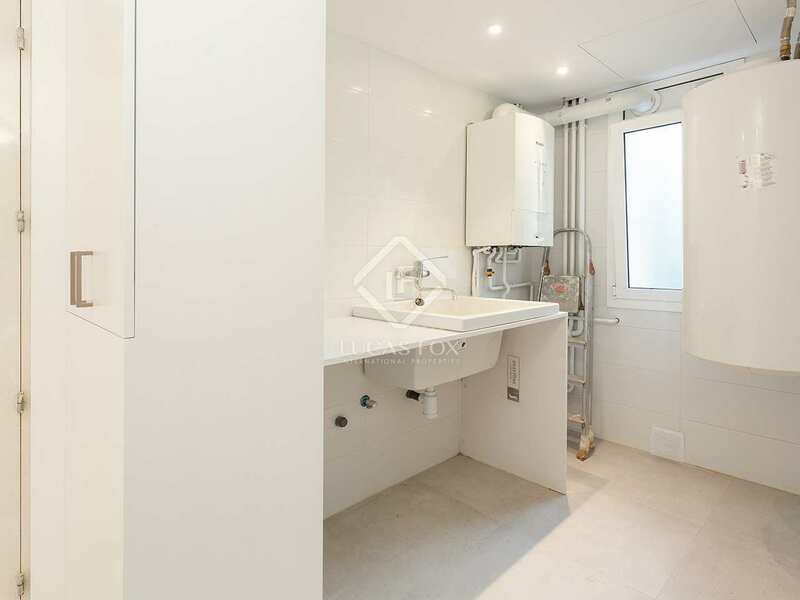 Property located in one of the best areas of Barcelona's exclusive Pedralbes neighbourhood. 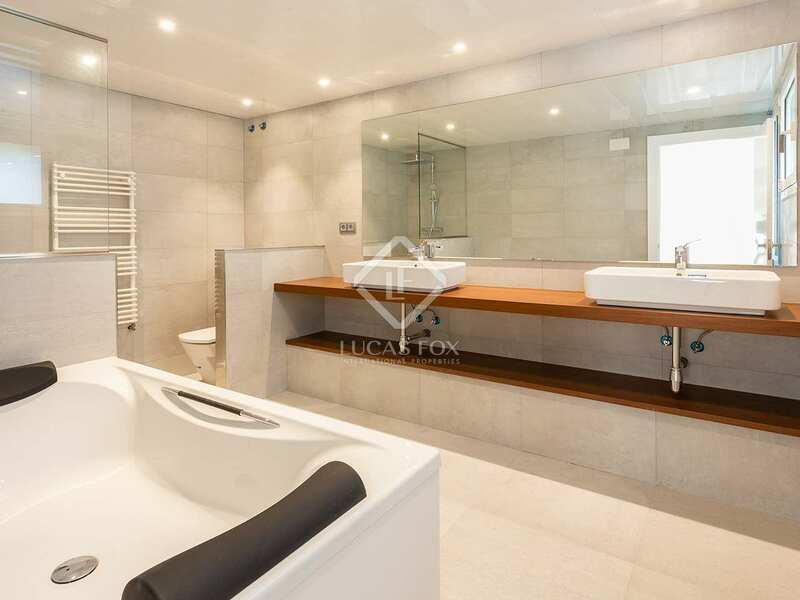 Close to top international schools and with all services nearby, it is a sought after amongst families. 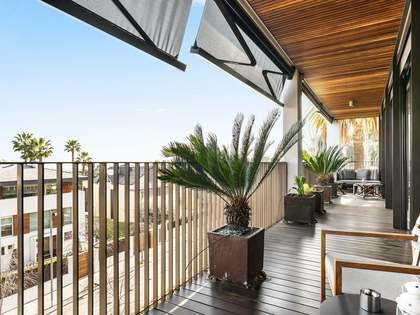 Well connected to the rest of the city, it is the perfect option for those seeking a peaceful yet conveniently located home.